We came across a small flock of Golden-shouldered Parrots feeding on the side of the Peninsula Development Road as it ran through Artemis Station. There were males and females and juveniles in the flock. 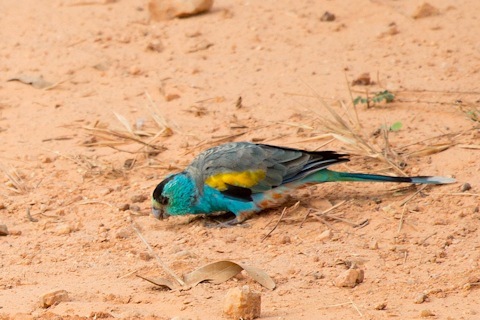 The male Golden-shouldered Parrot is very colourful.